According to data from the Maryland and Virginia winter dredge survey, an estimated 371 million blue crabs lived in the Bay in 2018. While this marks an 18 percent decrease from the previous year, experts believe the population healthy, resilient and sustainable. 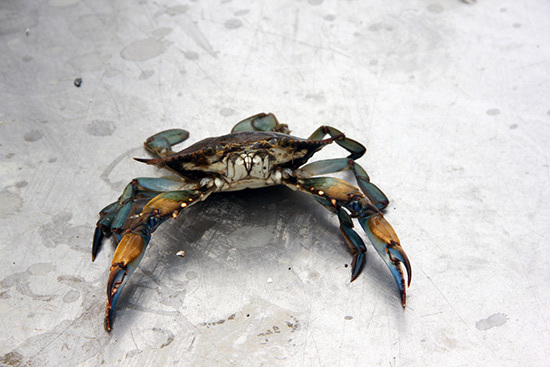 The decrease observed between 2017 and 2018 has been attributed to a drop in the number of adult blue crabs, as the number of juvenile crabs in the Bay rose 34 percent during this time. The cold weather and ice cover of the past winter took a toll on the population, causing an estimated 35 percent mortality of adult females wintering in Maryland and Virginia waters. Despite that, fisheries managers see evidence that their efforts are working. 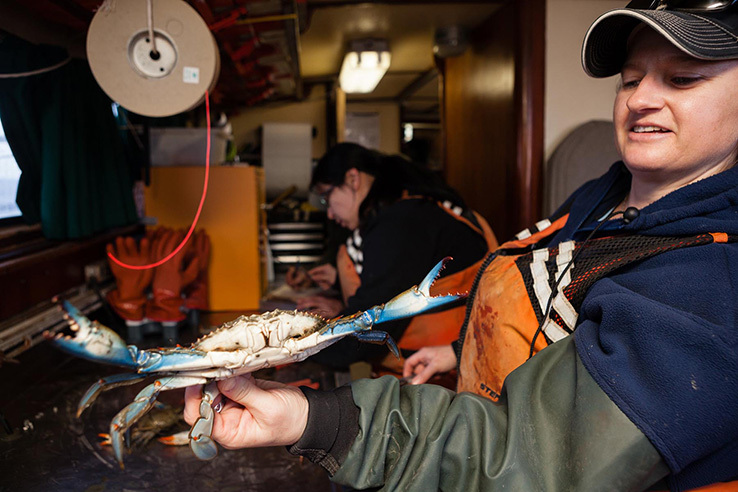 “Even with the erratic weather, which included snow in April, the blue crab population remains well within parameters, showing that the state and our partners are managing the species well,” said Maryland Natural Resources Secretary Mark Belton. 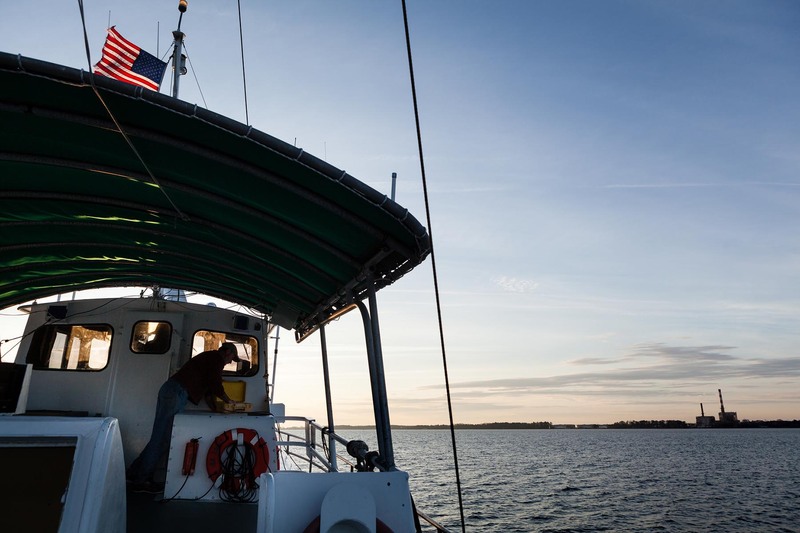 Since 1990, the Maryland Department of Natural Resources and the Virginia Institute of Marine Science have estimated the Bay’s blue crab population through the winter dredge survey. Over the course of three and a half months, scientists visit 1,500 sites around the Bay, using metal dredges to pull up crabs wintering in the mud. The Chesapeake Bay Program tracks the adult female blue crab population as an indicator of Bay health, and in the Chesapeake Bay Watershed Agreement committed to maintaining a sustainable blue crab population based on a target of 215 million adult females. The Chesapeake Bay Stock Assessment Committee, which includes scientists and representatives from states, academic institutions and the federal government, will use this data to make recommendations on sustaining the blue crab population in its 2018 Blue Crab Advisory Report, expected to be released this summer. 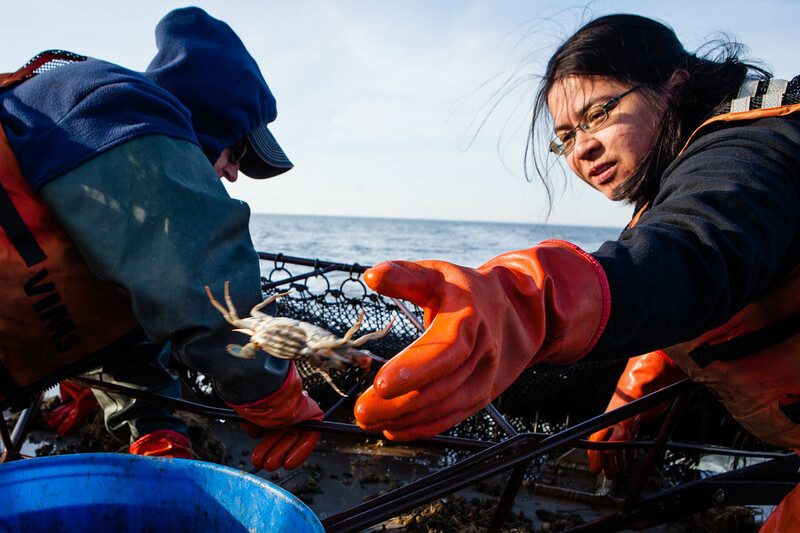 Learn more about the state of blue crabs in the Chesapeake Bay.